From ZACH Employees: We are the ZACH! The production crew at ZACH Theatre creates high quality productions, staging Broadway-style musicals and socially evocative plays. We enthusiastically contribute our labor on collaborative efforts and artistic projects that we are passionate about. We make Mary Poppins fly; we drive forward the automated Governor’s office in Ann; we light the rock concert that makes The Who’s Tommy larger than life; we build the monumental scenery in All the Way: the LBJ Play; we project the subtitles in Tribes, so that hearing and non-hearing patrons can enjoy theatre together; we dress the iconic talent in Sophisticated Ladies in breathtaking costumes. We introduce local children and their families to the literary gifts of a young Cenicienta, the unselfish kindness of James & the Giant Peach, the pride in bilingual literacy of Tomas & the Library Lady, and the adventurous yearning of Alice & Wonderland. These works are presented to schoolchildren in our community who may not otherwise be exposed to theatre of ZACH’s caliber. The work we produce is hard-hitting, creative, important, impactful, and fulfilling, and we are proud to make a difference in the lives of Austin kids, parents, and community members. We love what we do, and we want to keep doing it, but many of us recognize the need for some changes that will greatly impact our lives. We need to make a living wage and want some job security. We deserve fair treatment and a civil disciplinary process. We deserve wage parity for men and women. We deserve to be treated with respect because we are dedicated, hard-working employees living in a progressive and competitive city. Unfortunately, Zach Management has failed to address our concerns so we are seeking help from the International Alliance of Theatrical Stage Employees (IATSE), Local 205, so that we may work together to finally achieve these ends. To find out more about our campaign for Union representation, explore the links below. We will update these pages as our story continues to unfold. 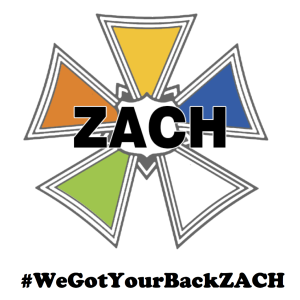 From Local 205: We Got Your Back ZACH! Zach Scott Theater has been a jewel in Austin’s crown since the 1920’s, and for the last decade or so, Zach has been the only professional producing theater in Austin. Main stage shows occur in their newest performance space, the Topfer. Zach has several creative shops; scenic, props, paint and costumes, where craft artisans design and build the scenic and costume elements needed for each production. Additionally, stage crew are employed to load-in and load-out each show and to execute the all the performances. Zach stage employees love what they do and they want to keep doing it. 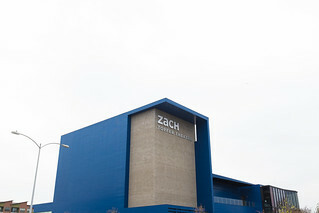 Not only do they want to be able to afford to keep working at Zach Theater, they want to know that they can count on Zach Theater to retain their services. 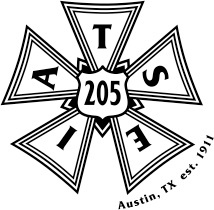 Zach stage employees have approached IATSE Local 205 for representation. Unfortunately, Zach Theater management is opposed to it’s employees having any union representation. So much so, that they have created a lot of misinformation, mistrust and fear amongst their employees to discourage them from continuing to organize. From your experience who has more strength, an individual or a group? Do you believe working people should be able to come together and ask for what they need from their employers as a group? Forming a group that works together to negotiate with an employer for the things they need, is what “organizing” and “collective bargaining” is all about. Sometimes organizing is called “unionizing” because typically the employees that have come together, ask a union for help and to represent them. 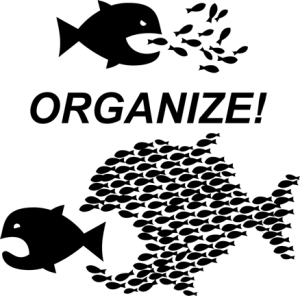 The principles behind collective bargaining is that a group of people has more power than an individual does, especially when it comes to negotiating wages and conditions with their employer. Every working American has the right to collective bargaining and union representation. These rights are protected by Labor Law. Congress gave the American people the ability to form unions and bargain collectively to create a balance of power between the worker and the employer to create more stability and strengthen the American economy. The laws that were put in place to protect employees wishing to organize govern what an employer can and cannot do when employees decide to organize. These pages are dedicated to providing ZACH stage employees with accurate information about the organizing process so they can make an informed decision about union representation. Read more to become aware of what common, but Illegal tactics management often employs to attempt to derail organizing drives. IATSE International’s Main Info Pages on Organizing in the U.S. Besides what we have posted, regardless of your current opinions, management or employee, you should take the time to read this information carefully! HOTLINE for if you still have questions!